Once you’ve prepared for a Condo Association hearing, you’ll have done all of the necessary legwork to minimize conflict and maximize the outcome. While preparation makes things easier, you will still need to go through with the hearing itself. These tips will help you hold a Condo Association hearing in the most effective way possible. 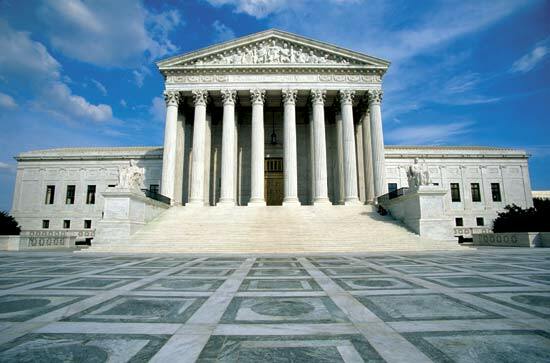 When you hold a Condo Association hearing, it’s not at the supreme court. Hearing proceedings are formal affairs, but since they are held in a Condo Association and not a court, there is an element of informality. Despite this, you need to remain professional throughout the process. When the defendant Owner arrives, ensure that you lay out the process as written in the Bylaws. Ask if they have any questions about the process. If they are emotionally involved or upset, keep your cool. There is nothing to be gained by engaging with them. Make sure to follow the process of the hearing and allow the Owner to explain their side. Likely there will be an element of frustration and venting from the Owner. Let them say their piece and get it out of their system. Help them state and present whatever evidence they have in their defense. There may be extenuating circumstances or other issues. The hearing is an opportunity to get that information to the Board. While it isn’t your job to advocate for the Owner, you can work to help them make sure they are presenting relevant information. Being compassionate is important when you hold a Condo Association hearing. This is not the recommended way to convey facts during a Condo hearing. If you have witness testimony, video evidence, or other materials, make sure the Owner understands what that information is and how it is influencing your decision. Give them a chance to explain the evidence, if applicable. If there is no explanation to be made, try to get them to acknowledge the evidence exists – even if they don’t want to acknowledge what it means for their guilt. What is critical when you hold a Condo Association hearing is that you aren’t engaging in a back-and-forth. For example, say you have a video of an Owner verbally harassing a staff member. In the video they are clearly using profanity and abusive language. The goal is to make sure the Owner understands you have the video and it shows them engaging in a verbal altercation. The goal of the hearing is not to fight over whether or not the Association can hold a hearing about the altercation (you can), or if the staff member “deserved it.” The focus is on the video existing. The Owner can refuse to acknowledge it was bad behavior – that’s fine – but they need to acknowledge the behavior occurred and the video captured it. Collectively walking through all of the evidence is the key accomplishment when you hold a Condo Association hearing, as it allows you to move on to the judgement phase. Hearings in Condo Associations are a bit odd because if an issue has gotten to a hearing, the Owner is often guilty. The challenge is that both parties – the Board and the Owner – are frustrated. The Owner is frustrated because they probably think they’ve done nothing wrong. The Board is frustrated because there’s a bad behavior that hasn’t been remediated. The key throughout when you hold a Condo Association hearing is to maintain objectivity and professionalism, and to make sure the facts are clearly documented. Having strong documentation for facts helps ensure that when a decision is rendered, there is material backing it up. The next installment of this topic will cover how to render judgment once a hearing is completed.